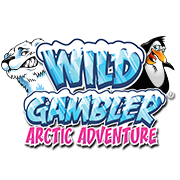 Wild Gambler: Arctic Adventure combines the fast paced action of slot machines with the strategy of roulette. Building on the innovative Lock & Spin feature in the very successful Wild Gambler, players can now not only choose where to lock their wilds but also multiply their potential prizes by up to x5! Also featuring Free Spins where all wilds and multipliers remain locked. This game is a lot of fun and will be available at Fly Casino tomorrow (Saturday February 8th, 2014). Also on February 9th, 2014 from 00:00GMT until 23:59GMT play at least 300 rounds of Blackjack of €/$/£ 5.00 per bet or higher and you are guaranteed a €/$/£ 10-50 cash prize from our random prize draw. All you have to do is play 300 hands or more above $/£/€5.00 and you are guaranteed a prize. Saturday February 8th,, 2014 00:00GMT until 23:59GMT on your first deposit of $/£/€10 or more our members are eligible for our exciting Your Choice bonus.